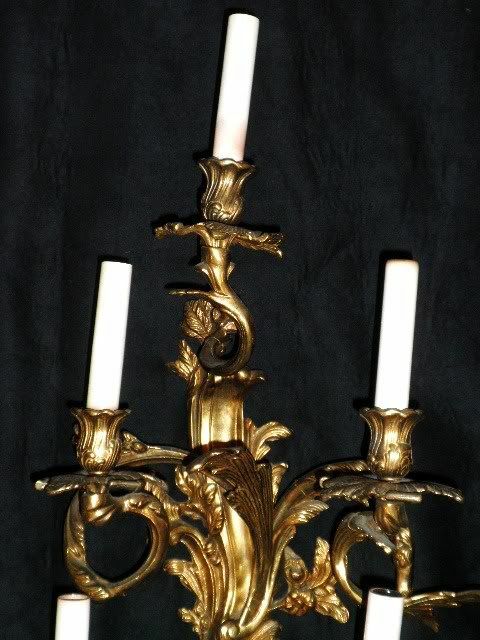 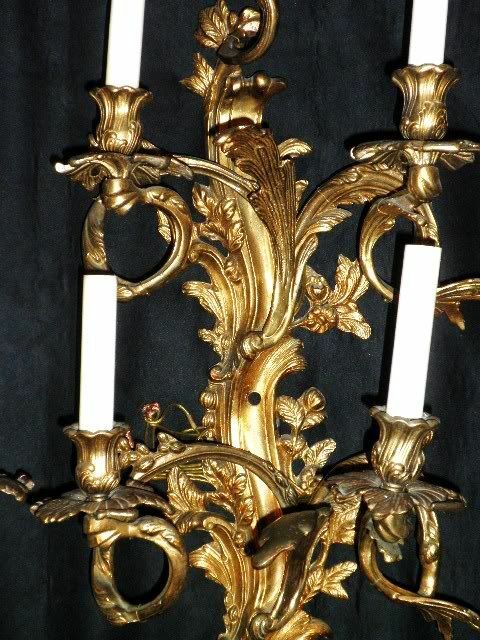 Ormolu pair of antique sconces France. 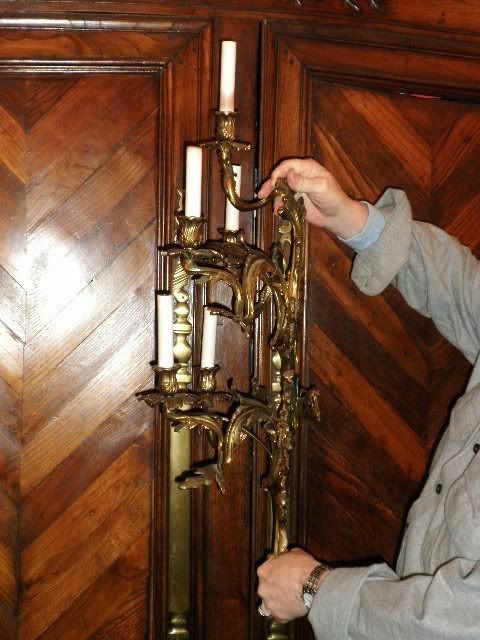 The sconces have been more recently electrified and measure 35" long by 16" wide with a projection of 9". 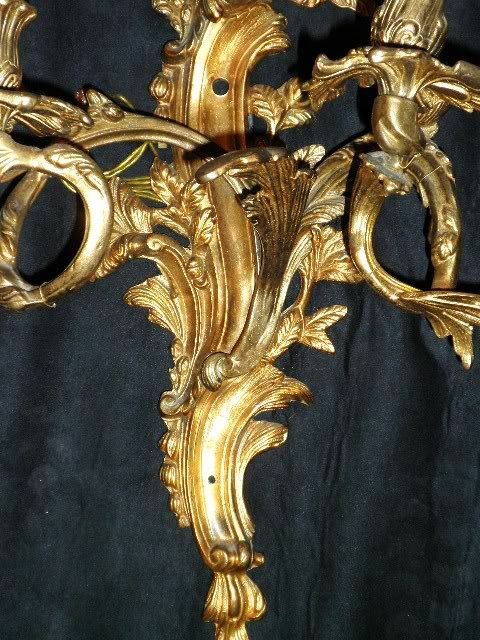 The sconces are gold gilt(ormolu)over bronze. 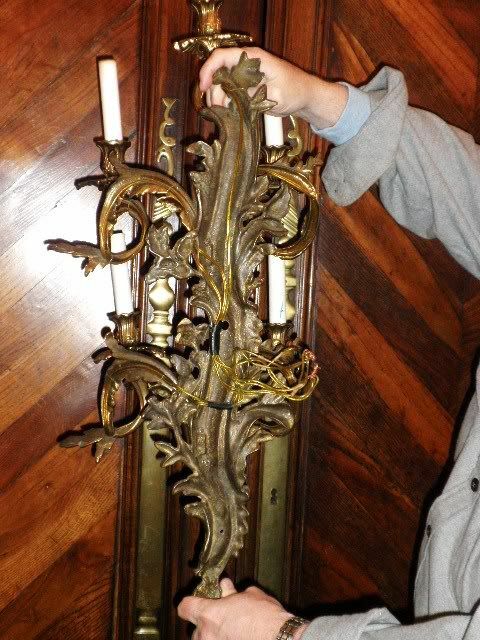 The sconces are early legal antique circa 1880-1900 and are hand chased. 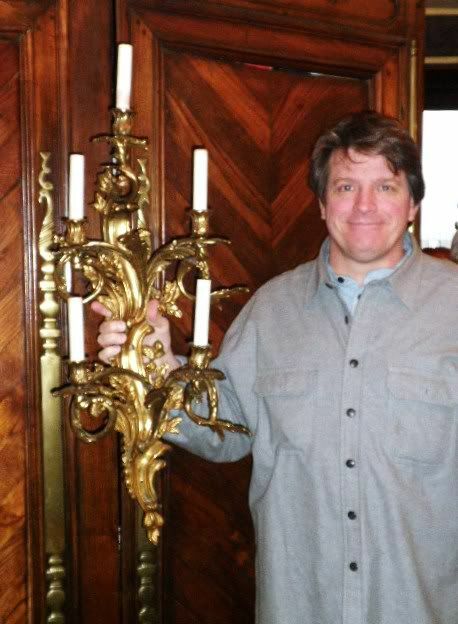 Each sconce has 5 lights and can be hard wired to wall. 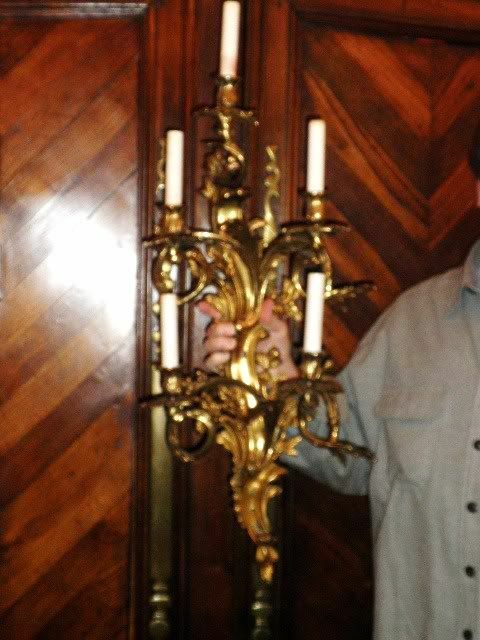 Both the sconces are solid in structure and without loss or repair. 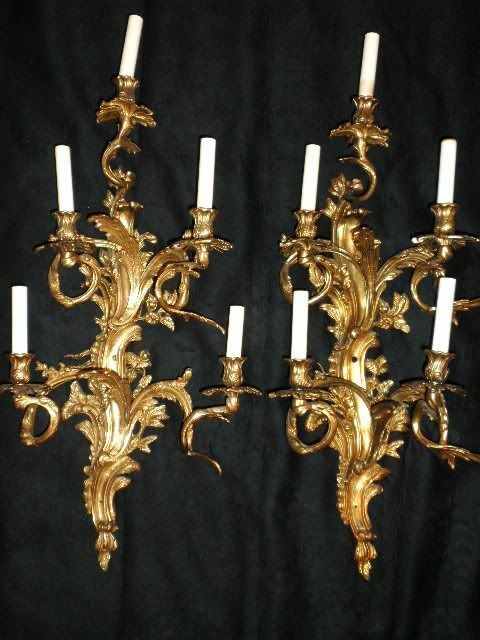 A great and rare quality pair to find.